Renting a copier is a great solution for short term projects, startup companies, or credit challenge companies. Copy Print Scan Solutions offers copier renting in Miami and the South Florida area with no credit requirements. With our flexible month to month rental programs, renting a copier has never been so easy. Copy Print Scan Solutions offers all inclusive (parts, repairs, supplies and support) service agreements on all of their rental offers. If you need to rent a copier, Copy Print Scan Solutions is the best choice for your company. If you have a short term project to accomplish, and need a multi-function copier machine, renting a copier is the solution for your needs. There is no need to go into a long term lease agreement, or purchase outright a commercial copier. Copy Print Scan Solutions offers a wide variety of Canon imageRUNNER multi-function copiers for you to choose from. When you are a startup company and need to have a multi-function copier at your office, you are required to personally guaranty a lease agreement. Some people do not like to personally guaranty corporate loans, since their personal credit would be affected if the lease is not paid by on time. Renting a copier is a great solution to this problem. If you are having personal or corporate credit issues, and need to rent a copier machine, Copy Print Scan Solutions makes it easy for you. There is not credit check of any kind. All we require is first payment, last payment, security deposit, delivery, and installation fee. Once this is done, we will deliver the copier to your office in less than 1 week. Not a lot of companies in the industry offer the service to rent copiers in Miami-Dade county. Copy Print Scan Solutions has been successfully renting copier equipment for years to their clients. 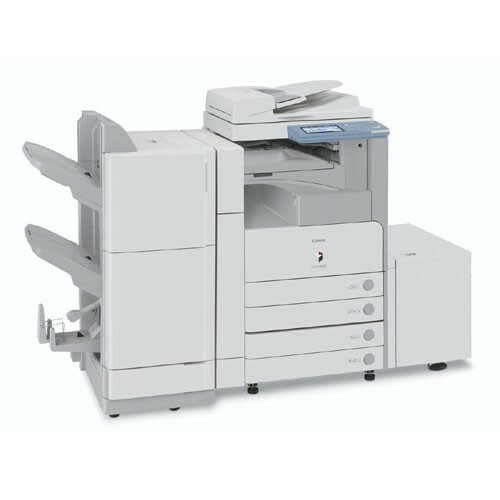 Copy Print Scan Solutions offers late model Canon imageRUNNER multi-function copiers. From 25 to 105 pages per minute, capable of printing in color or black & white, scanning, printing & faxing, with finishing options to create booklets, Z fold & tri-fold if needed.